Order online MSSQL to MySQL database converter software to migrate entire or selected MSSQL database records to MySQL records as per user choice. 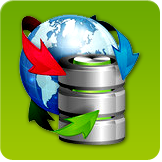 Order online MySQL to MSSQL database converter to converts MySQL DB records to MSSQL records while maintain the integrity of data. MS Access to MySQL database converter software converts existing Microsoft Access records to MySQL records with an option to save generated database at the location specified by user on PC.